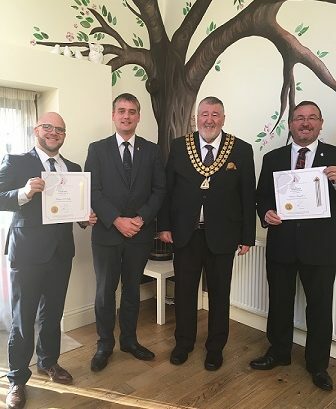 On September 27th 2018 Clive was pleased to attend the certificate presentation for the diploma in funeral service, in which two of his students passed with flying colours. Photograph left to right Michael Dolby, Clive Pearson, Alan Puxley (National president institution of funeral directors) and David Hamilton. Starting out life as a joiners and undertakers in the 1920s. Pearsons funeral service continues to grow and evolve as its 100th year of trading draws near. 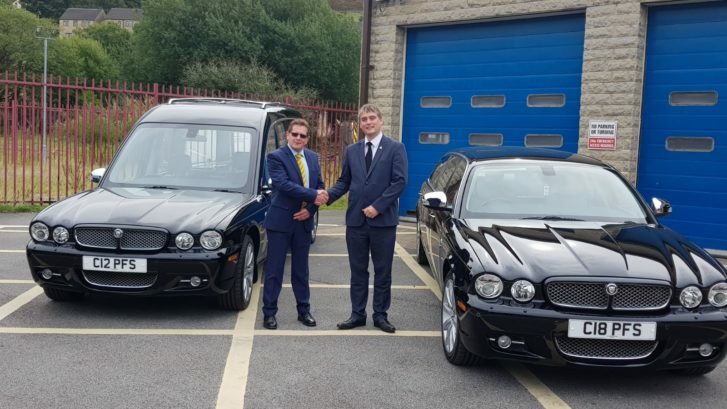 We understand only too well the need to provide the very best for the families that we serve therefore, we have updated our fleet with a pair of Jaguar vehicles, a hearse and matching limousines. 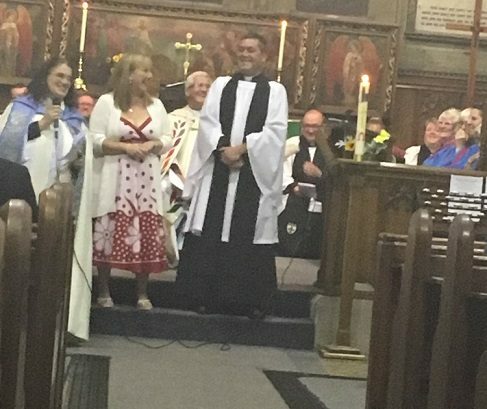 September 5th was a special day for the Parish of Christ the King, Meltham. The instillation of the new vicar Rev. John Dracup took place in a heart-warming ceremony at St. bartholomew’s Church, Meltham. The Bishop of Huddersfield Jonathan Gibbs led the service to a full congregation. We would like to extend a warm welcome to Rev. John and his lovely family and hope they settle in well to our village life.